HOME NETWORKS The microVB™ system is a breakthrough in both form-factor and functionality for real-time analysis of access network and customer home network performance. 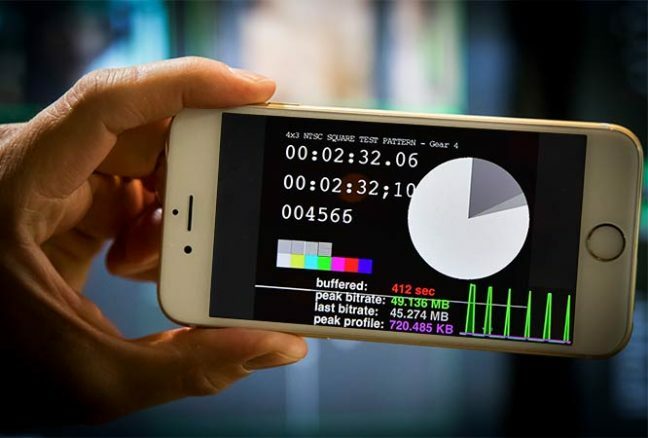 This unobtrusive device provides deep packet inspection and end-to-end visibility in broadcast quality media delivery over any IP based infrastructure including OTT media in unmanaged networks. Combined with the Bridge Technologies microVB Device Controller (MDC) server software, Operators can now maintain 24/7 confidence monitoring from head end to customer home. Forget those expensive truck-rolls and keep your Opex under control. Just pop a microVB™ into an envelope and mail to the subscriber directly. No setup knowledge is required because the microVB™ is literally plug and play. Upon installation the microVB™ is auto discoverable and your operations centre will be ready to go. Once plugged in you need never touch the microVB™ again; just let it go on running. The microVB™, as its name implies is small, even down to its price tag. The microVB™ will give you instant performance feedback on video quality, packet delivery analysis and set-top-box performance and communications. 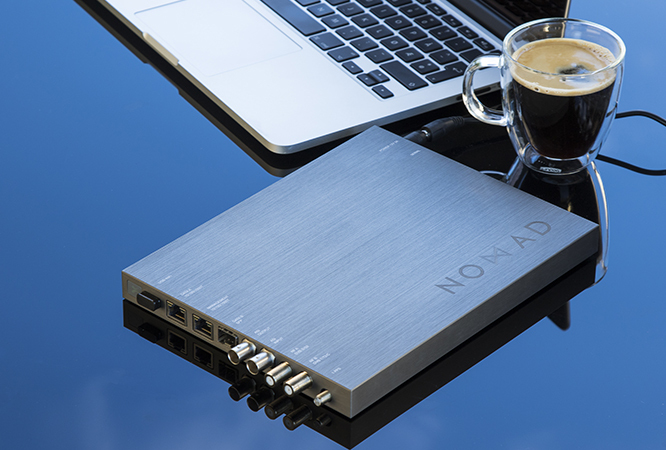 Home networking environments are becoming more complex. This complexity makes it semi-impossible to identify whether the problems experienced are due to the home infrastructure or to the network. The introduction of new devices and new services (broadband data, voice, video) compound the whole complexity and error identification process even further. The microVB™ is a revolution in thinking. Now, 24/7 monitoring at the customer site as a part of a network-wide monitoring process is an affordable proposition.Putting an engineer on-site assumes the problem will manifest itself during the customer call which is all too often not the case. The microVB™ sidesteps all of the legal, commercial and maintenance risks of hosting software, because it comes on its own hardware which is secure, low cost and non-service affecting. The microVB™ forwards alarm states to its own microVB™ server system. The whole process is automated and fits into the overall architecture of the total system. Not only will the Operator be able to look at the end-points in a network but by using the industrial strength VideoBridge IP-Probes will also enjoy a system-wide overview. Pinpointing potential and actual problems before they become service affecting is the only way to lower service costs and hinder subscriber churn. The microVB™ can operate passively or acquire its own IP address via DHCP. The microVB™ can further be deployed right at the edge of the network at the DLSAM or Access Switch layer for cost effective and powerful monitoring of network issues. Packaged as a complete turnkey system, a microVB™ kit consists of microVB™ devices and the MDC server software itself. The system can be expanded to an unlimited number of microVB™ devices. 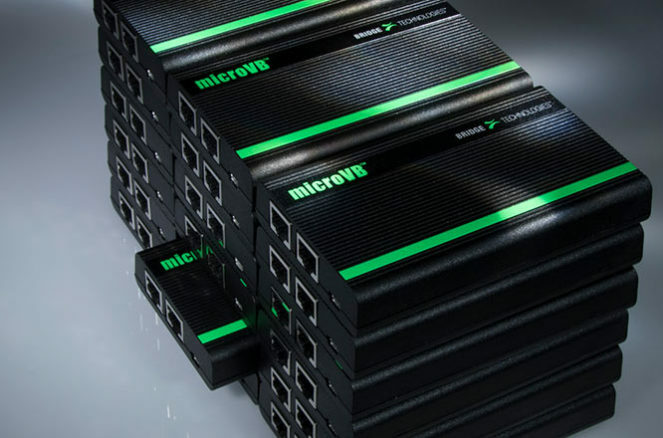 Each microVB™ system can be pre- or retro-fitted to any installation, irrespective of set-top box and network architecture. The microVB’s are sold in batches of 50 units. The first unit is bundled with the server software called MDC (microVB Device Controller). The MDC is capable of managing 100 microVB units in its basic state. The microVB Device Controller (MDC) is the server side portion of the microAnalytics solution for home monitoring. The Traffic View option on the MDC offers a tree structured overview of all traffic flowing through the microVB categorized into well-known protocols. Each protocol category can be viewed on a timeline over the last 5 minutes as either bandwidth or packet count. The Traffic view of an MDC that is licensed with the Traffic module option will display the total bitrate received by the microVB™ device and the total bitrate transmitted by the microVB™. In addition to these measurements the traffic protocol breakdown can be viewed by expanding the traffic tree. This is done by clicking the + icons in the tree. The Traffic Module Option offers more details about what traffic flows through the microVB. It is ideal for identifying traffic types that could affect television quality such as torrent file transfers or large FTP sessions. These potential problems often take place in households where the same broadband connection is used for multiple purposes.